We conducted an audience poll and asked the readers of indianexpress.com who they think should leave the house this week. Out of the six nominated contestants, Sourabh Patel got the highest percentage of votes. 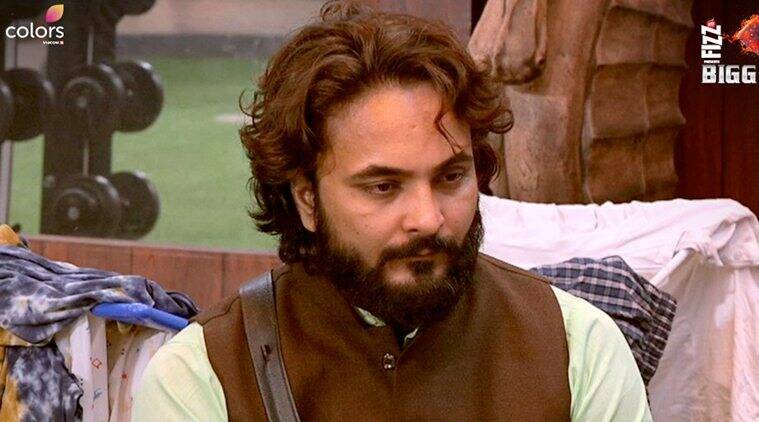 Bigg Boss 12 contestant Sourabh Patel maintained a low profile in the house until now. Like every week, this week too another contestant will walk out of the house during Weekend Ka Vaar with Salman Khan. And going by the votes, it looks like commoner Sourabh Patel will have to leave the house. Sourabh entered the house as a jodi with best friend Shivashish Mishra. It was only this week that Bigg Boss announced the big break up of the jodis and Sourabh got nominated by the captains of the house Surbhi Rana and Romil Chaudhary. We conducted an audience poll and asked the readers of indianexpress.com who they think should leave the house this week. Out of all the six nominees including Sourabh, Urvashi Vani, Jasleen Matharu, Srishty Rode, Karanvir Bohra and Saba Khan, Sourabh got the highest percentage of votes (28.54 per cent), followed by Urvashi Vani’s 28.44 per cent. Jasleen and Saba got 12.39 per cent and 12.04 per cent votes, respectively. The two celebrities in the list Srishty and Karanvir continued to be the audience’s favourite with only 7.93 per cent and 10.65 per cent votes. Sourabh, who was looked upon as the next Manveer Gurjar of Bigg Boss house, failed to grab eyeballs on the controversial TV show. He maintained a low profile and was among the least seen contestants. The only time he made headlines was when the reports of him hiding his identity made some noise. It was said that Sourabh, who entered the Salman Khan show as a farmer, is actually an assistant casting director, aspiring to be an actor. Also, his real name is Sahil Rameshwar Patel. Now whether it will be Sourabh who will be evicted this week or someone else, we will know soon. In tonight’s episode, Salman will be seen questioning former cricketer Sreesanth’s sportsmanship and will also reveal the truth behind the rumour he spread in the house about Surbhi Rana.